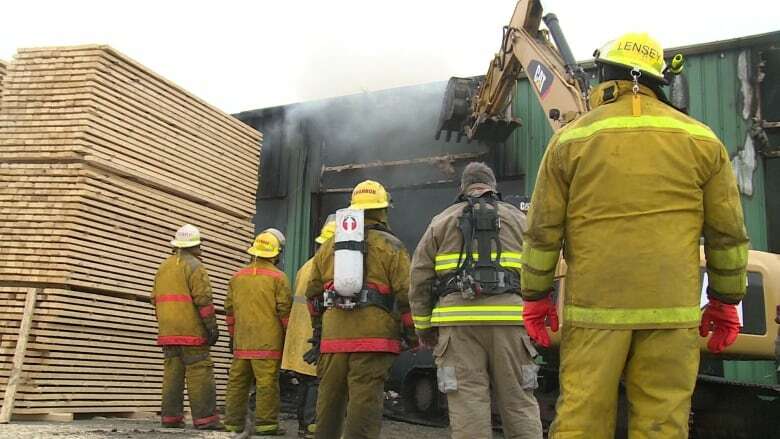 A lumber company on Newfoundland's Notre Dame Bay is picking up the pieces after learning a fire that destroyed its main warehouse was not suspicious in nature. In a news release Monday, Cottles Island Lumber owner Rex Philpott said fire investigators have notified them that the cause of Wednesday's damaging blaze was not arson. The fire that broke out in the company's warehouse in Cottles Island, near Summerford, required crews from two fire departments. "We appreciate the tremendous outpouring of support we have received during the past three days and want to thank everyone who called or stopped by to offer assistance," Philpott said in a statement. Now that the investigation into the fire is complete, the building is back in the company's possession. A small group of employees will begin cleaning up the debris. "We are now on the road to putting this difficult experience behind us and moving forward with the task of rebuilding." Philpott said Cottles Island Lumber will implement an interim plan to start up production before the warehouse is rebuilt.